A survey of the San Mateo Medical Center in California found that more HIV patients smoked marijuana for mental rather than physical reasons. 252 HIV patients were surveyed, of whom 58 patients admitted to use cannabis in the last four weeks. When asked for the main reasons they used the drug, most cited several reasons. 57 percent say they smoked it to relieve anxiety or depression, 52 percent against nausea and loss of appetite, 28 percent to alleviate pain. Dr. Cheryl Koopman, an associate professor of psychiatry at Stanford university, said that many of her colleagues were fascinated by the survey results presented at the American Psychiatric Association conference in May. "There was a lot of interest," she said. "Because of the illegality of marijuana there's a lack of research. We don't know if self-medication is systemic. It's another reason for large studies to be conducted in a scientifically rigorous way." The San Mateo Medical Center has managed to complete one round of clinical trials studying medical effects of cannabis in HIV patients, but Dr. Dennis Israelski, chief researcher at the Medical Center, is still negotiating for federal approval for two more studies. The first round of clinical trials focused on marijuana's effect on peripheral neuropathy, a severe leg pain that may occur in HIV patients. For the next trials, the Medical Center research team wants to expand the study to include potential effects on nausea, gastrointestinal disorders and wasting syndromes associated with HIV. California doctors who recommend cannabis under Proposition 215 (the Californian medical marijuana law) say they have become the next target of opponents of the medical use of cannabis. Police, sheriffs, and prosecutors throughout California have brought complaints against at least nine doctors, who are being investigated by the state Medical Board. According to the doctors, not one of the investigations has been triggered by a complaint brought by a patient, a patient's family, or health care professionals. The Medical Board is actively investigating complaints against doctors David Bearman, Frank Lucido, and Marian Fry. Investigations involving doctors Tod Mikuriya and William Eidelman are pending with the state Attorney General's Office. Complaints against doctors Stephen Ellis and Mike Alcalay have been dismissed. And two others, Robert Newport and Stephen Banister, are on probation. Hallye Jordan, a spokesperson for state attorney general Bill Lockyer denied that board investigations target doctors who recommended cannabis. "They don't have anything to do with medical marijuana," Jordan said. "These investigations are dealing with a lack of providing adequate screening, diagnosis, and medical care." Robert Elsberg, past president of the California Narcotics Officers Association, said many law enforcement agents believe Proposition 215 is abused by patients and doctors. Mikuriya pointed out that the Medical Board has never defined a standard of medical practices for evaluating medical cannabis patients, leaving doctors vulnerable to prosecution and investigations. He submitted proposed standards of care in March to the Medical Board but received no response. "Right now we have functional anarchy," he said. Patients and doctors were at risk of arbitrary acts of local police chiefs. 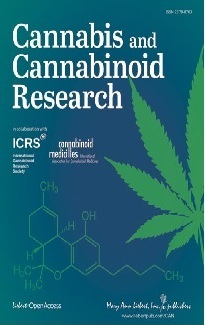 The Community Research Initiative of Toronto (CRIT) announced on 19 June the cancellation of the first Canadian clinical study evaluating the therapeutic effects of smoked cannabis, a direct result of Health Canada's decision not to renew funding for the project. 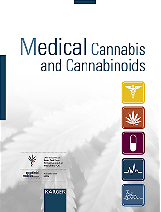 The study was to have assessed whether smoking cannabis can alleviate nausea and weight loss experienced by many persons living with HIV/AIDS. Research was to have begun this spring as a pilot study, involving a total of 32 individuals. "Health Canada has just cancelled funding of an important, groundbreaking research project," explained Derek Thaczuk, Chair of the CRIT Scientific Committee. "This about-face on its previous commitments has come at the very time the study was about to start enrolling, and at a time when Health Canada itself is proclaiming the need for well-conducted scientific studies of marijuana's health effects." The CRIT does not have the resources necessary to continue the cannabis project without funding support from Health Canada. This study represented more than three years of development and planning. Thaczuk concludes: "What is most painful is the abandonment of this project just when all of that labour was about to bear fruit."